The purpose of the Founders Circle is to gather a group of individuals who are passionate about community development to formulate the foundation of We Bloom, a new nonprofit created to empower health in communities. 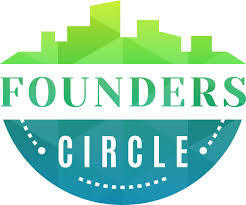 Founding Circle members play a key role in building financial sustainability for the initial start-up costs. Additionally, they will have the opportunity to contribute by brainstorming and assessing the organizational strategy, and creating a network of individuals inspired and influenced by the work of We Bloom. In this inaugural Founders Circle, we will have two tiers with varying funding levels and benefits. Pledge today by clicking below!